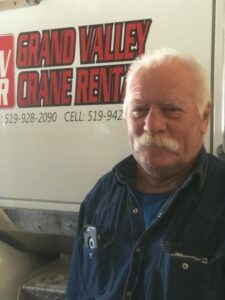 No matter what your construction project demands, you can count on Grand Valley Crane Rental to deliver to your satisfaction. We have been providing quality lifting and moving solutions since 1986. Let us help you with your current or upcoming projects! Nothing is more important to us than your satisfaction and safety. We go the extra mile to ensure smooth and safe operations by utilizing our expertise and taking precautionary measures. Our operators are highly experienced, trained, and licensed, so you can rest easy knowing you are working with the experts. 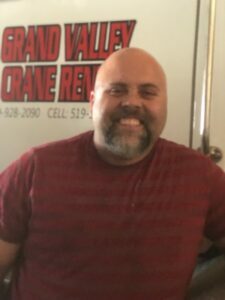 Jason is a dedicated, trustworthy, and highly experienced individual who puts your safety and crane lifting needs as a top priority. He is married and has two children. His family enjoys camping, sports, and traveling. 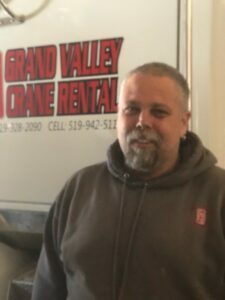 Rick has more than 20 years of experience as a licensed Hoisting Engineer and Mobile Crane Operator. He is certified in all aspects of lifting that involve building relocations, building erections, and specialty lifting. Rick is reliable, knowledgeable, and focused on his customer’s lifting requirements. He always makes sure that the job is completed to the customer’s satisfaction. Rick is also an accomplished guitar player, and he writes his own music. Additionally, he is a mechanic who enjoys working on and restoring cars. 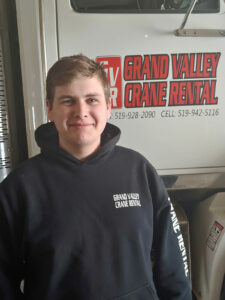 Wesley joined Grand Valley Crane Rental seven years ago, starting as an apprentice with the company. Since then, he has become a fully licensed Hosting Engineer and Mobile Crane Operator. He understands that safety and customer lifting requirements are the main focus of all crane jobs and that customer service is a high priority. Wesley is also an accomplished Outboard Hydro Plane Racing competitor. He travels throughout Ontario and across the border to compete. He loves dirt biking and snowmobiling and enjoys the cottage life.